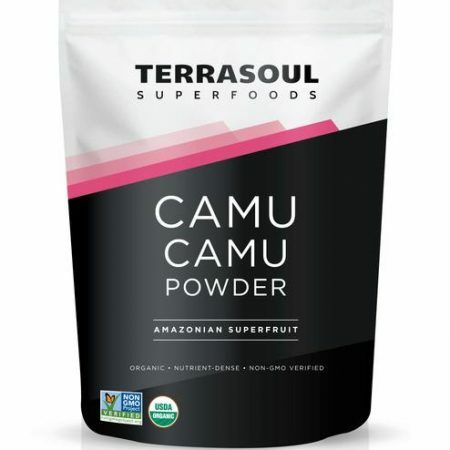 Terrasoul Açaí Berry Powder is one of the highest quality Açaí available. 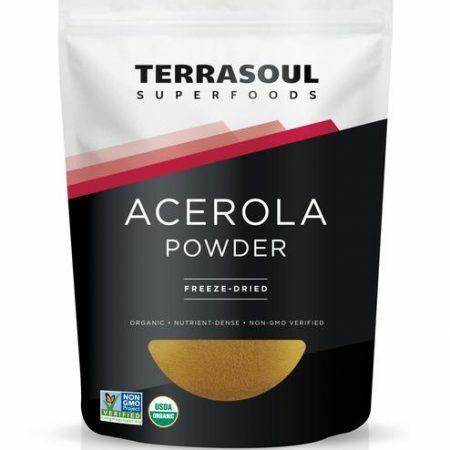 Grown organically and sustainably in the lush Amazonian rainforests of Brazil, Terrasoul Açaí Berry Powder contains only Açaí berries, frozen immediately after harvesting and then freeze-dried and powdered for maximum retention of nutrients of the fresh fruit. 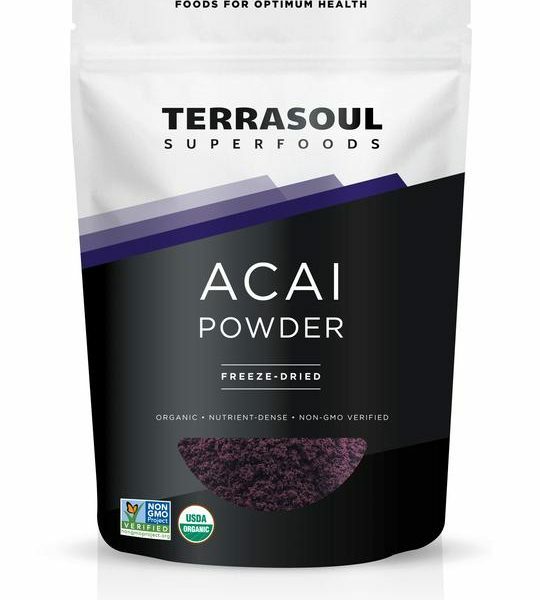 If you’re looking to supplement your diet with antioxidants to fight free radicals, look no further than Açaí, a berry that is packed with more than double the antioxidants found in blueberries and nearly ten times that of grapes. 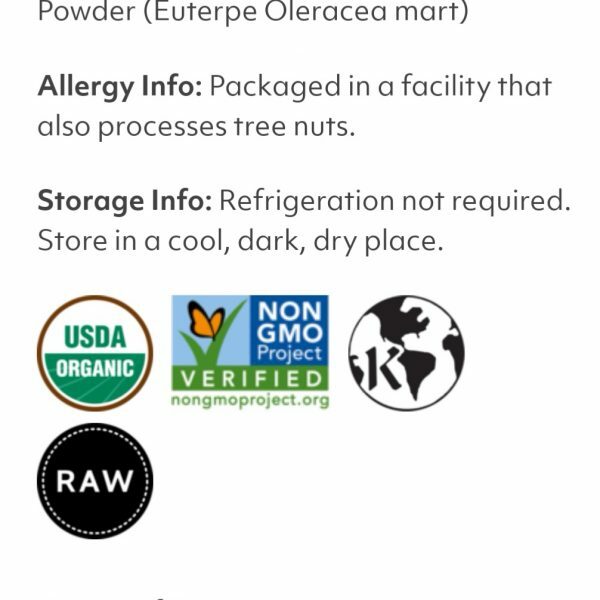 What’s more, Açaí also contains a host of other nutrients including heart-healthy fats, resveratrol, magnesium, potassium, and dietary fibre. 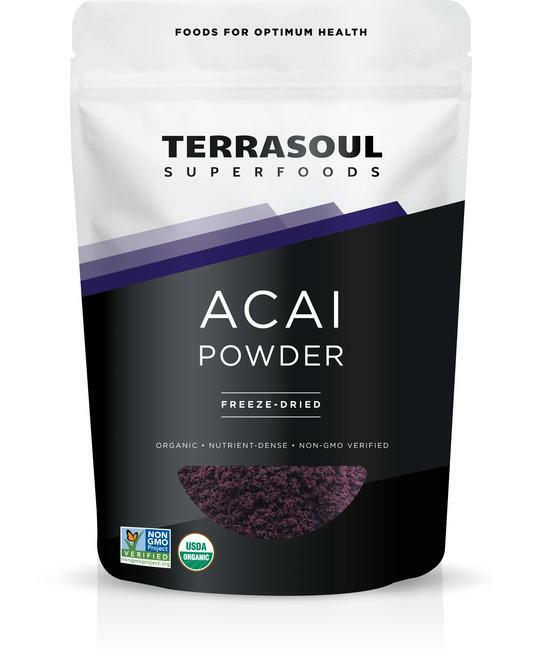 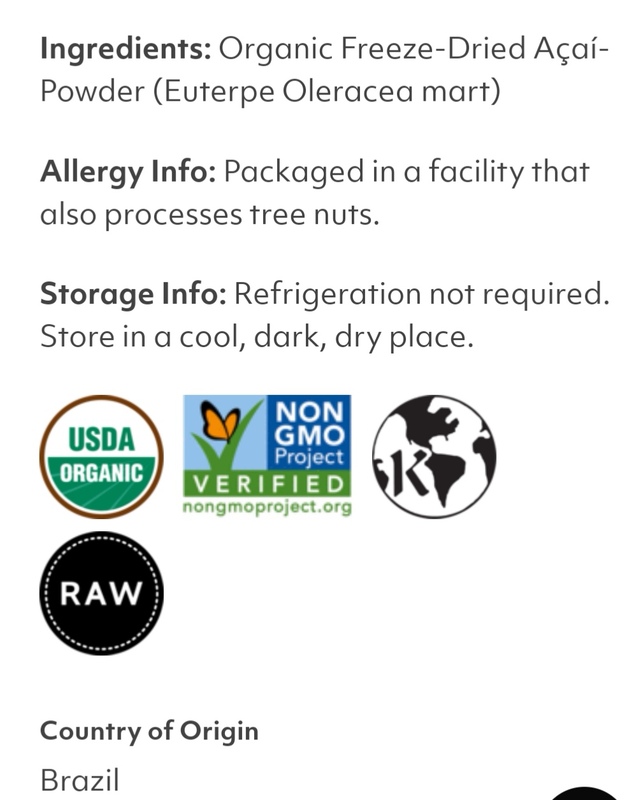 Terrasoul Açaí Berry Powder is certified organic, kosher, Non-GMO Project verified, and naturally gluten-free. 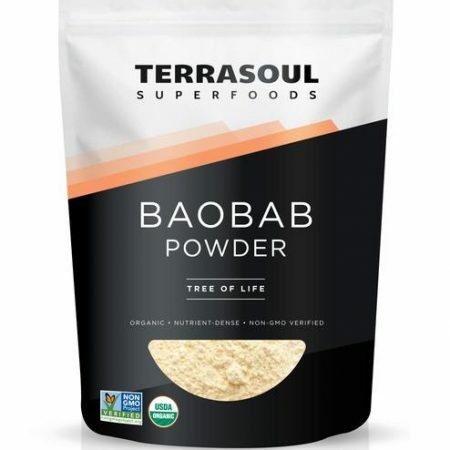 With a bold flavor and taste that can be described as a marriage between a sun-ripened blackberry and delicate dark chocolate, the creamy texture blends perfectly into shakes, smoothies, yogurts and dessert recipes.